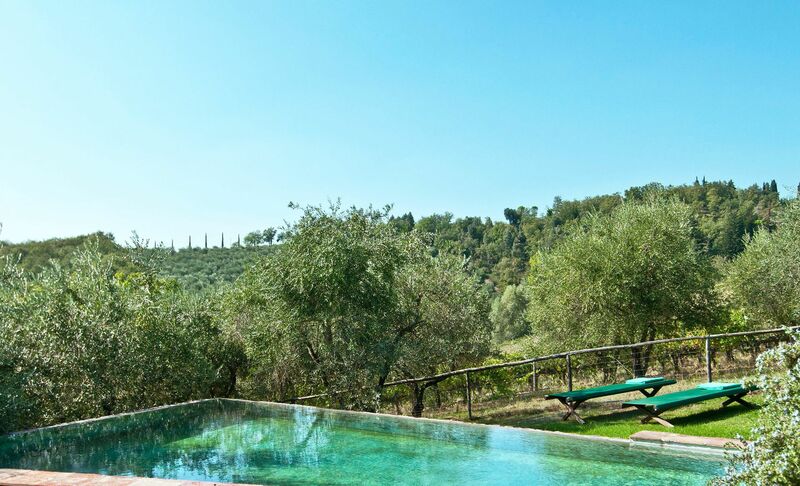 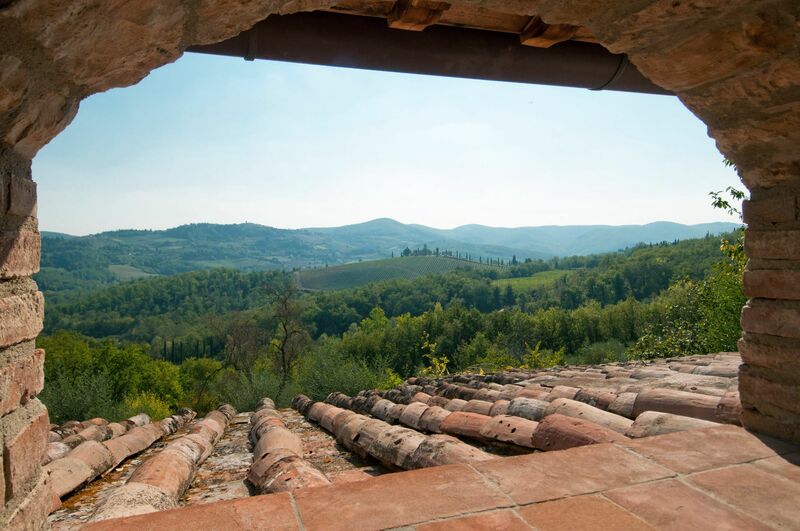 This beautiful villa with private pool is located in panoramic position enjoying stunning views on the vineyards and olive groves of Castello di Volpaia, an estate producing wine since year 1172; Today it is producing one of the most renowned Chianti Classico. 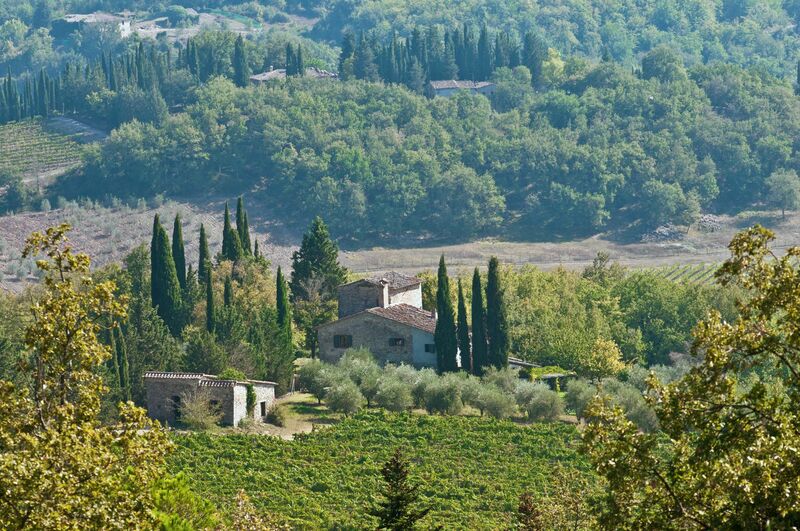 In year 2018, the 2015 Riserva wine has been ranked by Wine Spectator the third best wine of the world! 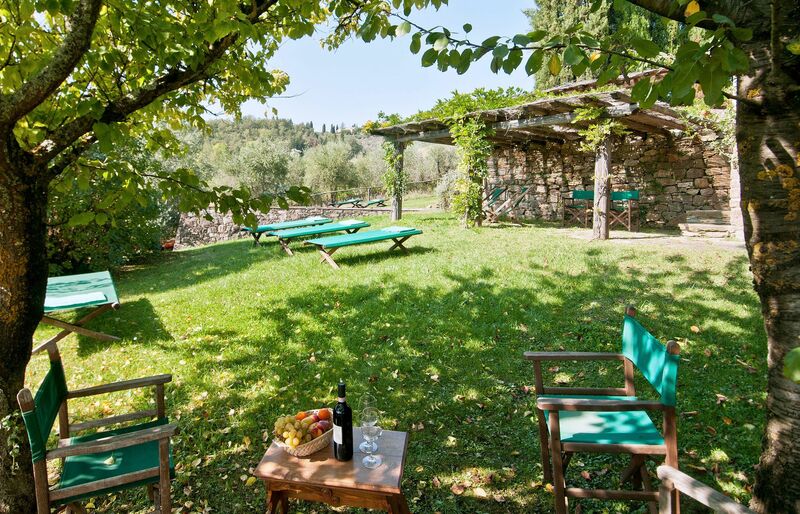 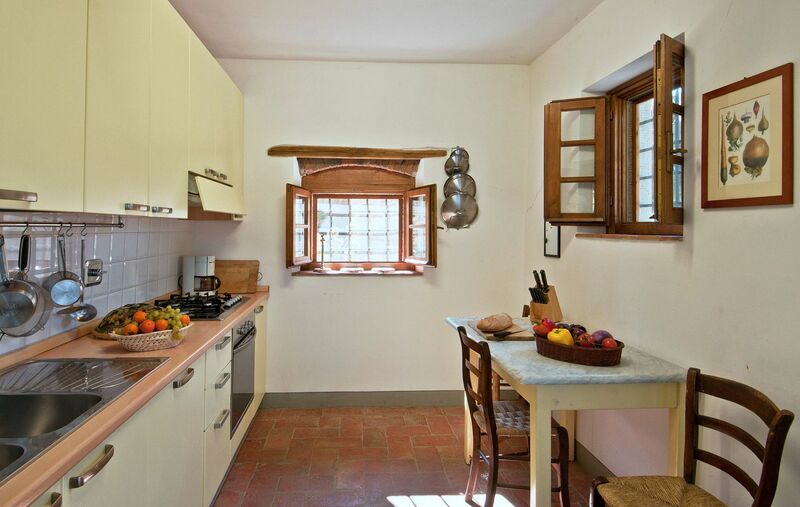 This is an ideal farmhouse for those seeking a completely relaxing holiday in Chianti with the opportunity of enjoying their meals, cooked by the staff (on request), under the covered terrace. 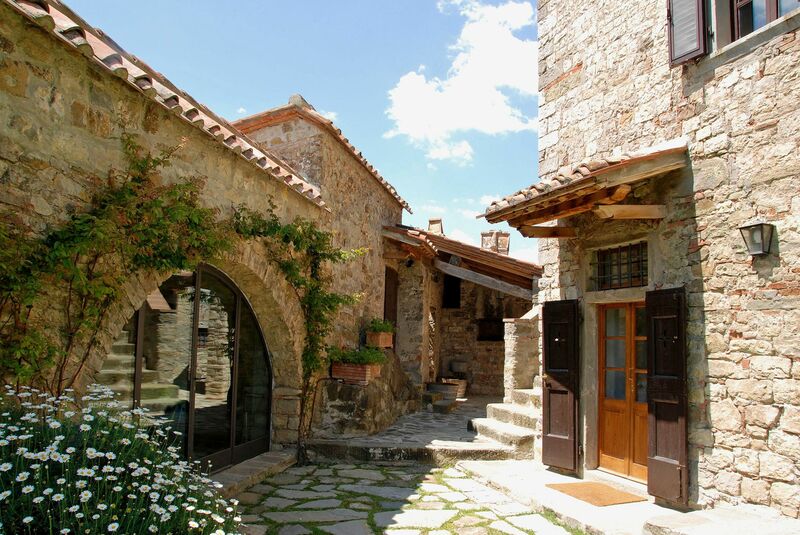 The charming nearby village hamlet of Volpaia can be reached either by foot through a 1.3 km path or in no time by car (2.5km). 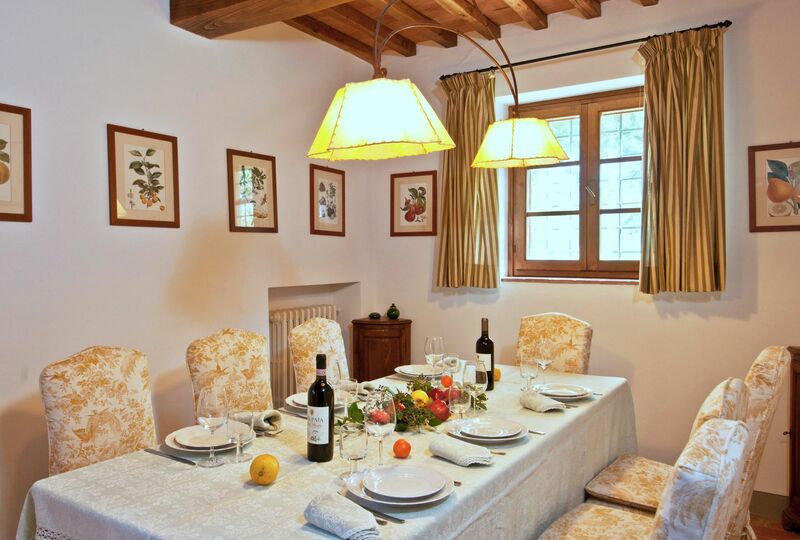 Among the beautiful narrow streets of the village, guests can buy bread at the local bakery, relax at the bars, taste the outstanding wines at the local cantina, enjoy a gourmet meal at the Osteria, acclaimed by many gourmet guides, or the local cuisine at one of the more simple restaurants. 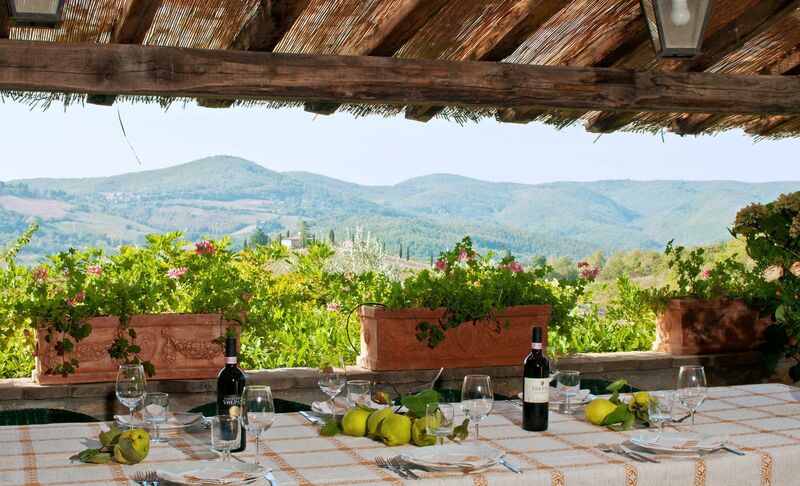 Furthermore, guests of Casavecchia can arrange a complementary wine tour or take a half-day cooking class with the state owner. 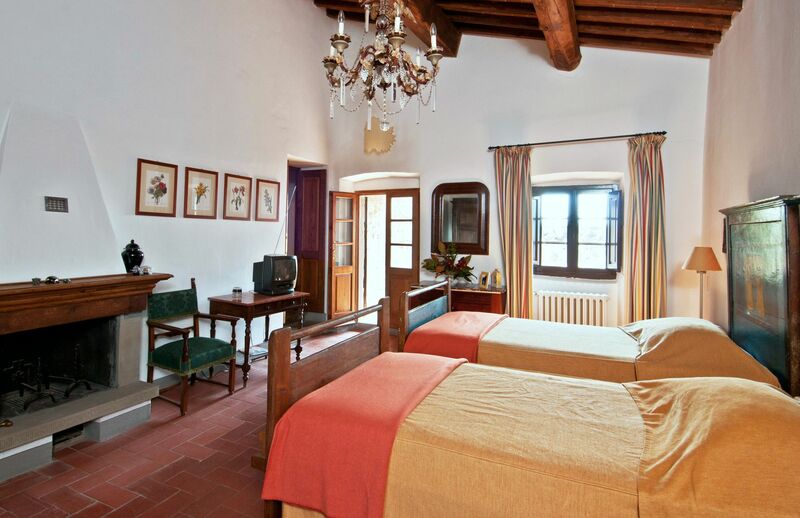 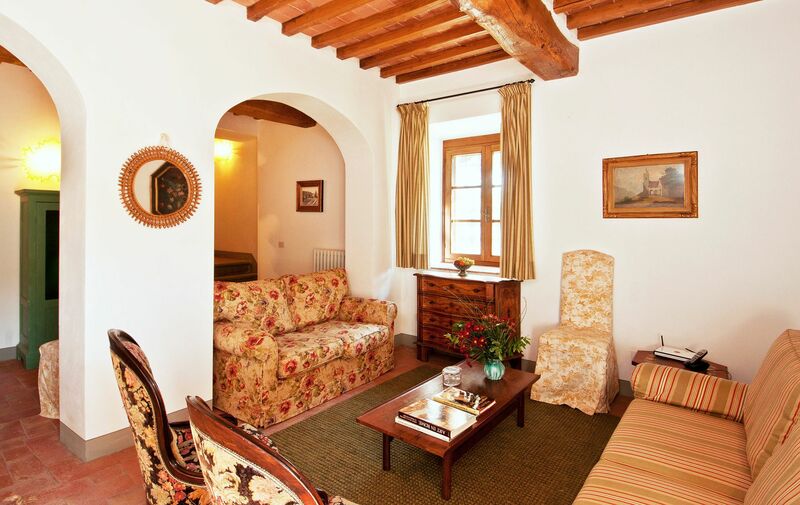 The interior of Casavecchia has been restored with full respect of the typical Tuscan traditions as well as taking into consideration the many comforts needed by travellers. 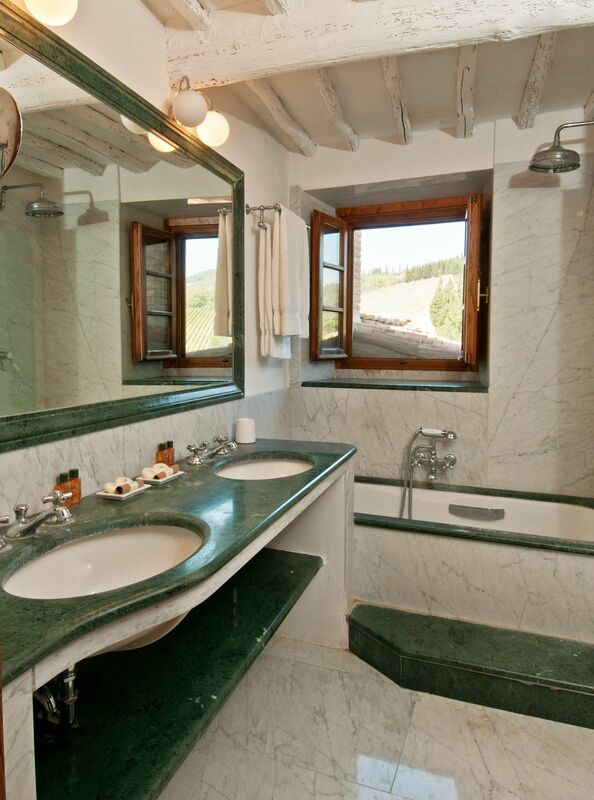 Each bedroom has its own en-suite bathroom. 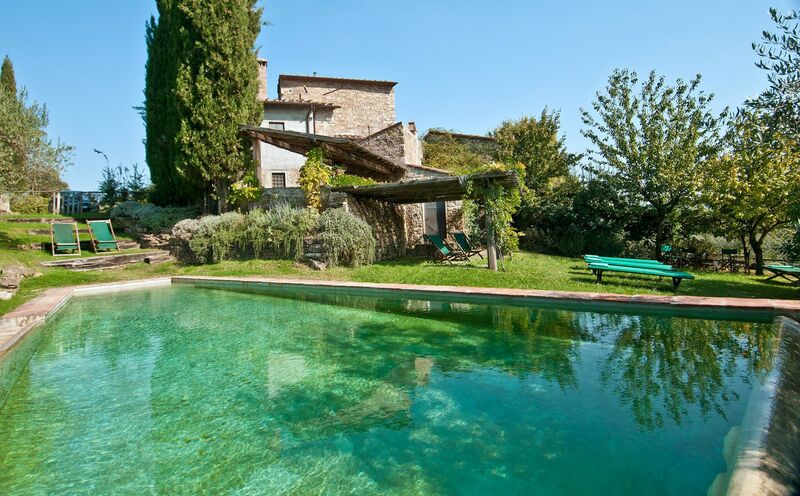 This house is very practical for families as it overlooks the pool, allowing parents to relax while keeping an eye on the pool area. 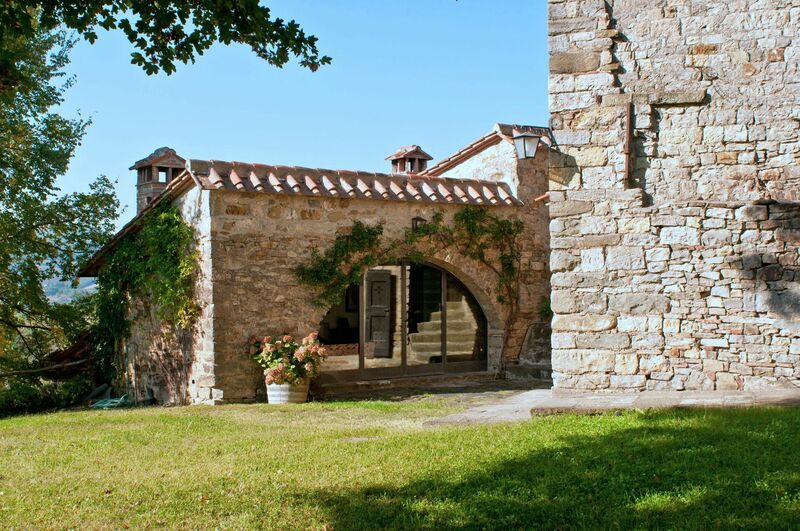 Casavecchia gives the opportunity to have everything needed at a short distance with the possibility of using their cars very little but it is also ideal for sightseeing. 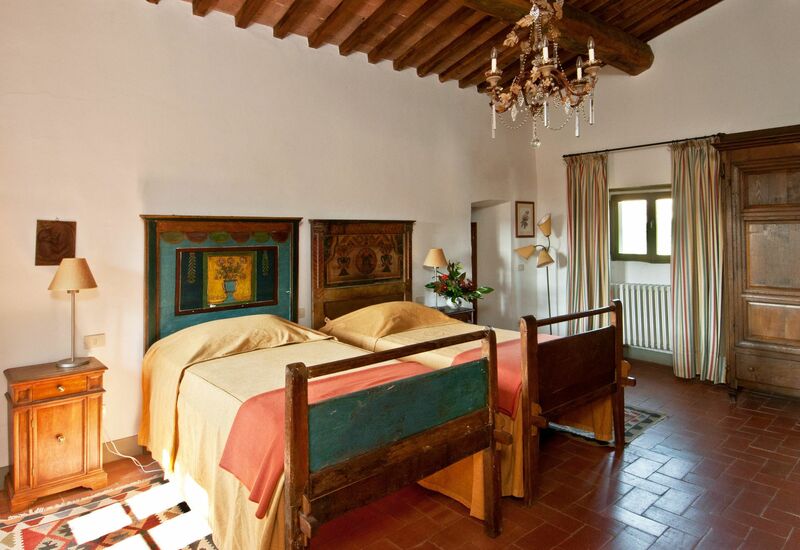 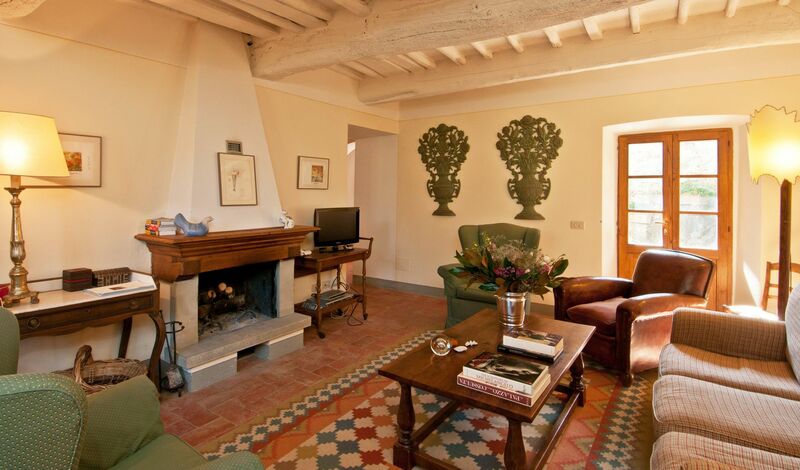 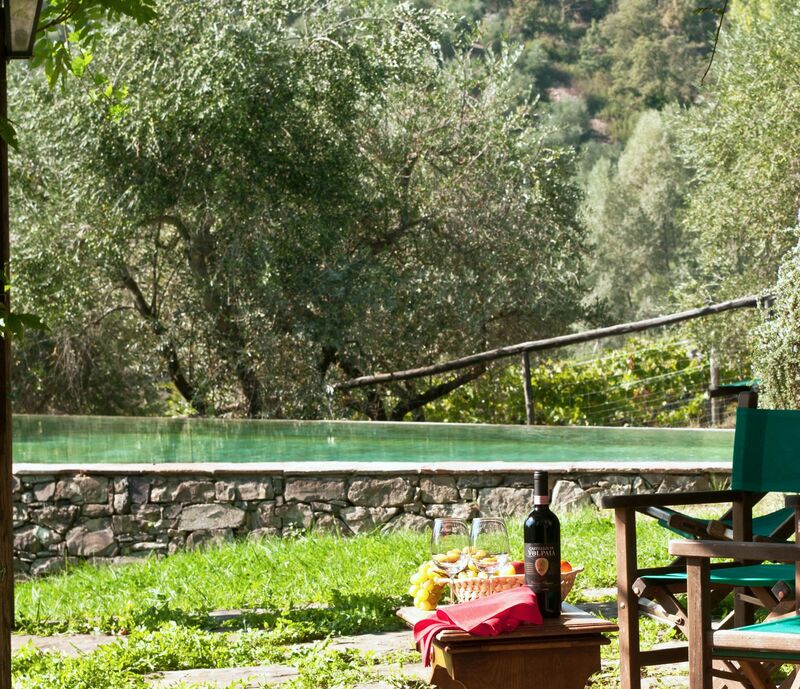 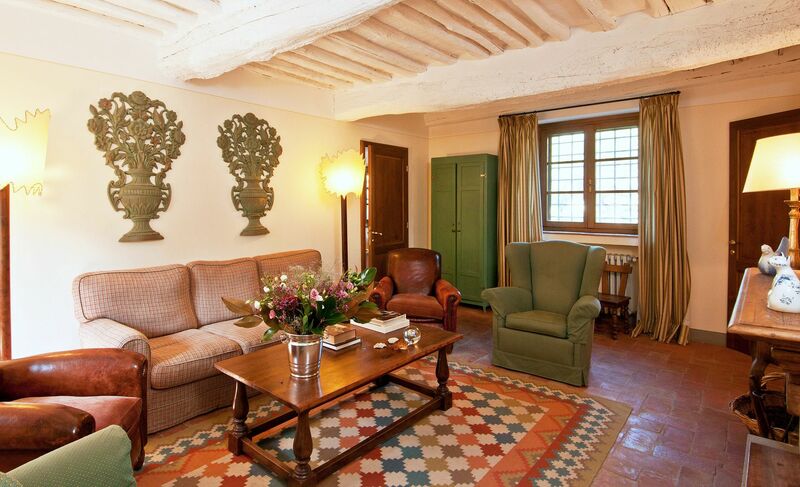 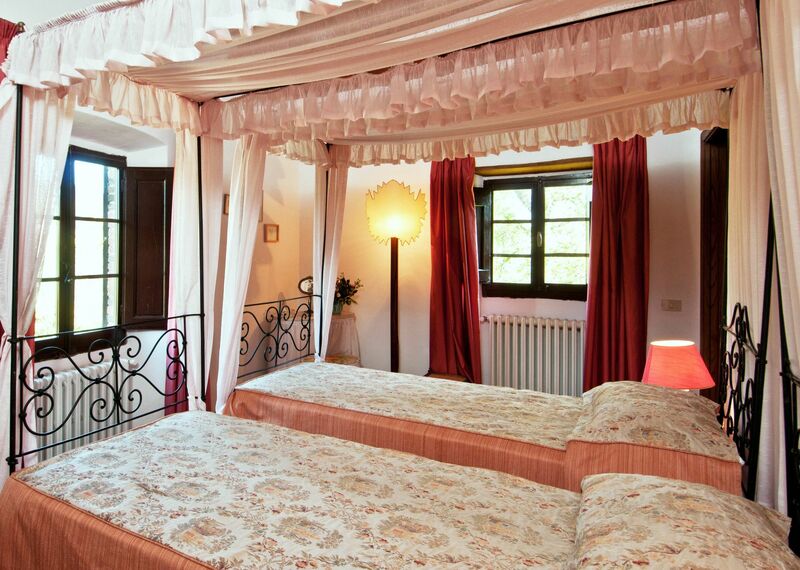 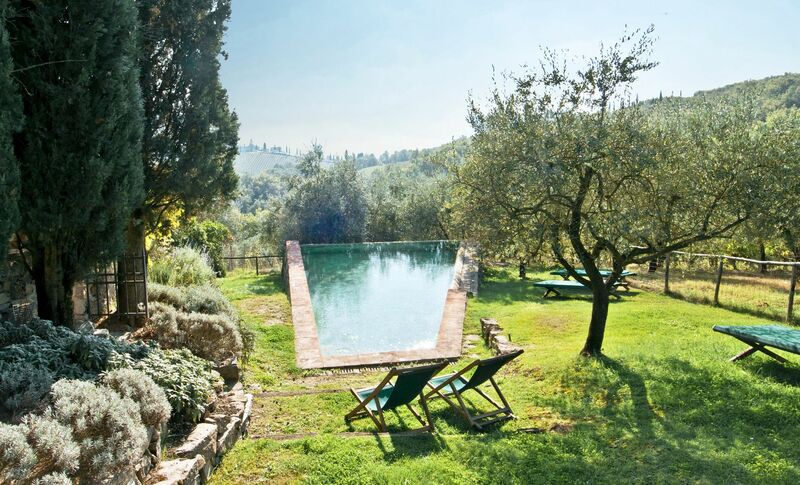 The villa is a short drive away from Florence, San Gemignano, Siena, Arezzo and all the famous villages in Chianti. 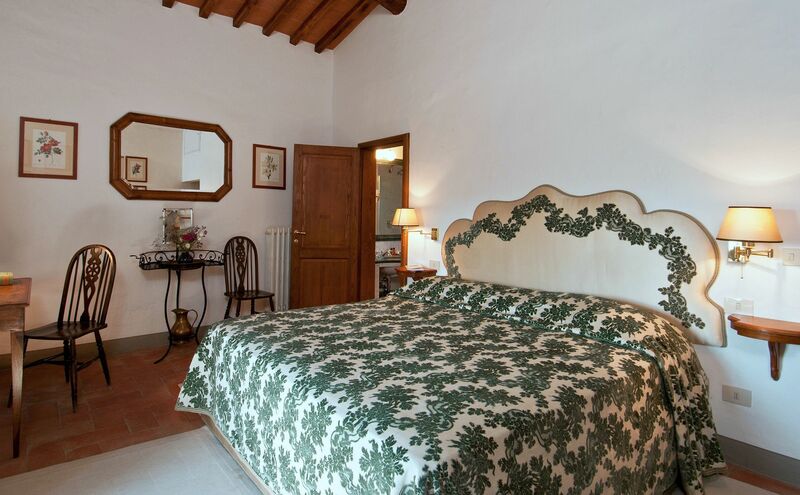 Cleaning service is included 4 hours a day, 5 days a week. 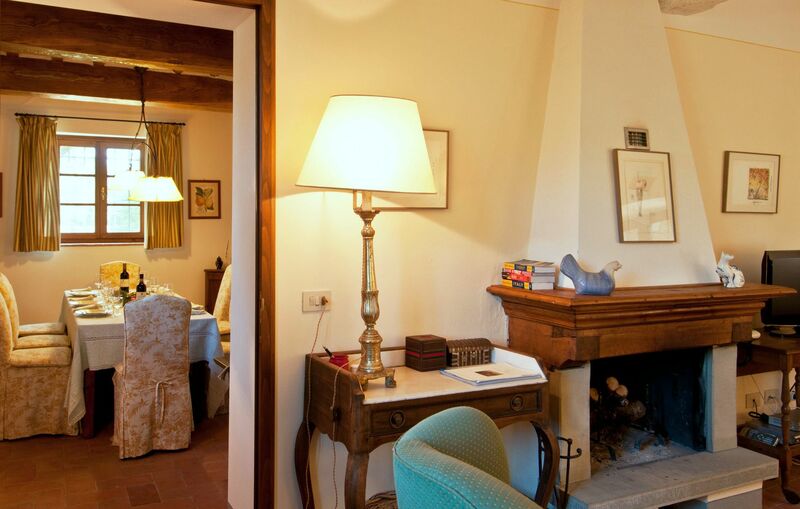 Entrance, sitting room with fireplace opening onto the garden, dining room, kitchen opening onto the covered terrace furnished for outdoor eating, guest bathroom. 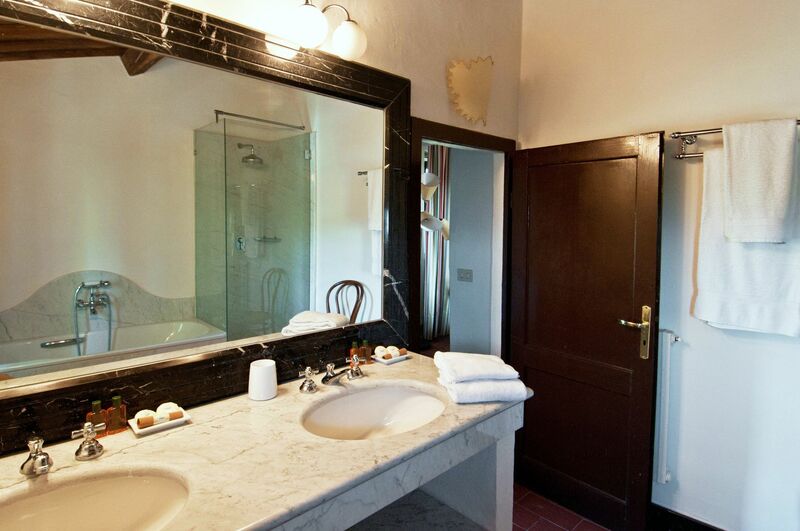 double bedroom with en-suite bathroom (bathtub with shower).